I love a good scone. No I mean I really really love them. No scrap all of that, I LOVE clotted cream. Phew, that feels better. 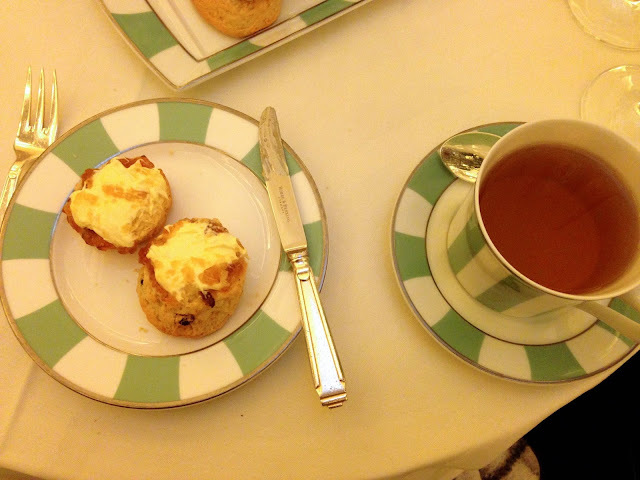 But in all seriousness when my wonderful housemate invited me for afternoon tea at Claridge's clotted cream was my first thought. 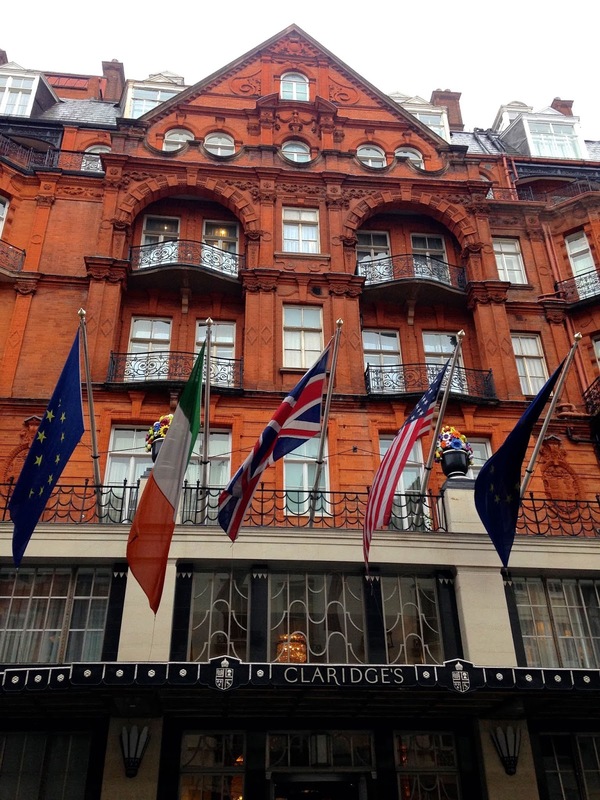 Claridge's, which started life as a single house hotel in 1812 before becoming what we know it as today in 1856, is a pretty impressive building. It's red bricks look beautiful against the London sky and the smiling doorman always adds to the building's charm. But let's get to the reason we're all here. Afternoon tea. The the sandwiches came. Oh boy they were delicious. There was a little slice of quiche and fingers of egg, ham, chicken, cucumber and salmon goodness. We tried to be all refined and take our time but completely failed and gobbled our way though them and were then offered some more! Naturally we said yes and then feared we wouldn't have enough room for everything else. We needn't have worried because the scones came next. I know I've already said this but I will say it again for effect. I love scones. We were advised to save our tea until the scones arrived so I had the perfect opportunity to make more Iron Goddess of Mercy jokes and we got completely tucked in. The scones were basically perfect and knowing we had a plate of the most beautiful little cakes to get through next was a pure joy! 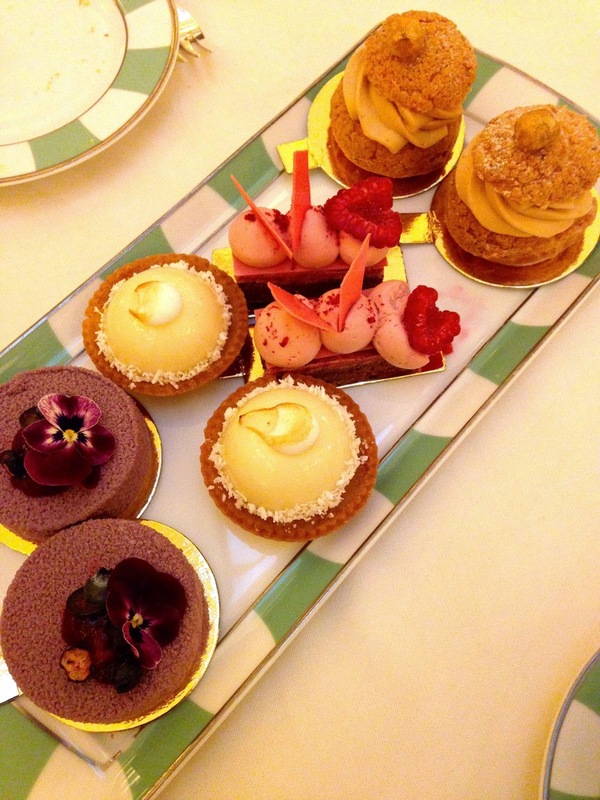 This plate of cakes and patisseries was really a thing of sheer perfection. There was a choux hazelnut delight with a surprising chocolate orange thing going on in the middle, a purple lemon mouse with some hidden berries, a little coconut custard tart type thing and the best of all was a raspberry sculpture on a crispy chocolate slab. The raspberry one was genuinely one of the most delicious things I have ever tasted and really reminded me of something I used to eat as a kid on holiday in France! We were offered more of everything but regrettably we were completely stuffed. We were however given a little box of cakes to take home and also a little box with two delicious truffles inside. Cream first, to me that's the only way. 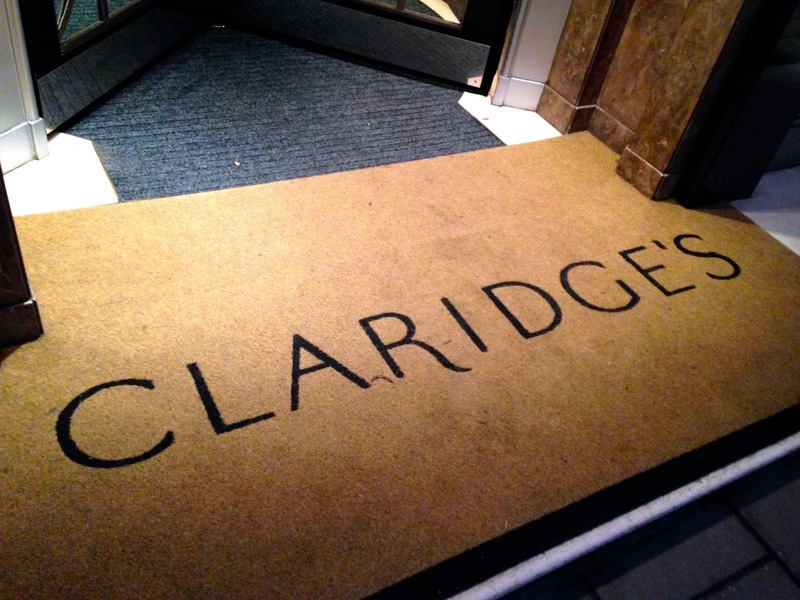 Haven't tried Claridge's yet. I went to Browns and Duke's Hotel and they were both fantastic. Must try another one soon! Oh you must you must! It was such a joy! Felt so utterly spoilt! 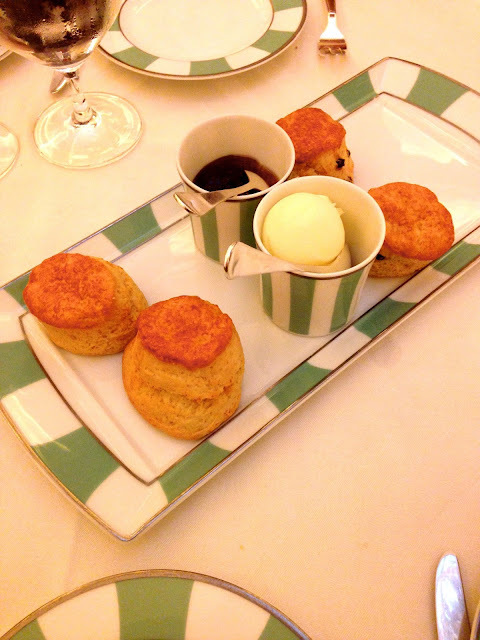 Oh my goodness, I now need as many scones and as much clotted cream as I could manage! 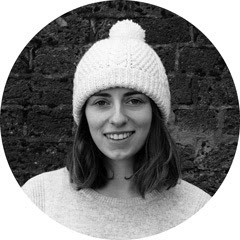 Hello lovely I have just found you from the #GirlGang chat! For one can I just say I really like your blog design! Also, how amazing does this Afternoon Tea look?! I'm definitely a cream first kinda girl! Tea infused jam?! I need some! Ahh I've always wanted to visit Clraidges. 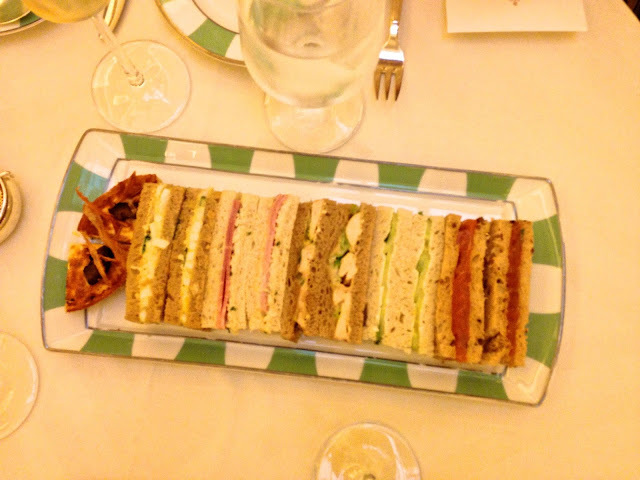 Afternoon tea is definitely my favourite so maybe this should go on my London to-do list. Afternoon tea at Claridges is amazing! 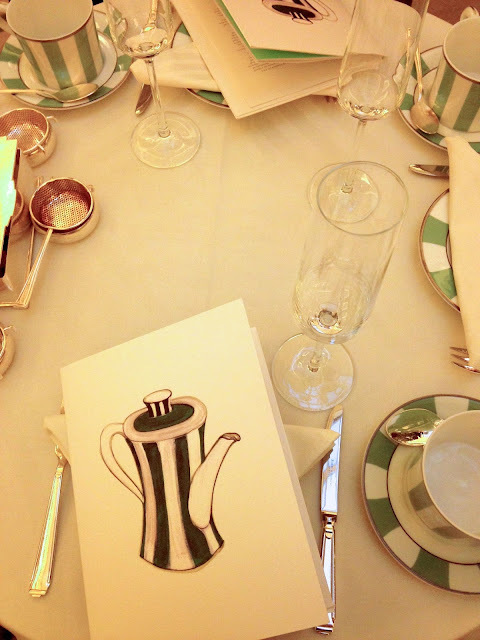 I absolutely adore going to Claridges and it seems like you had an incredible time! It was a wonderful time, can't wait to go back!